Life continues to be hard for children, and the Carmelite Sisters continue to help. Will you help too? Please consider contributing to the work of the St. Joseph’s Carmelite Home. The most precious gift you give may be your time. Contact us to discuss how your talents may be best used. Please Help the Children at St. Joseph's Carmelite Home. Your love, support and prayers make it happen. Two tiny frame homes, purchased by Mother Maria Teresa Tauscher after her arrival in Northwest Indiana in 1913 were the heart of what has become the St. Joseph’s Carmelite Home of today. 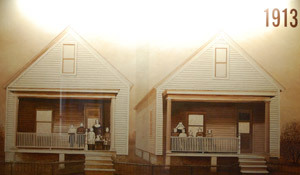 The sisters’ private rooms are still adjacent to the children’s living quarters. Our Home has served as a refuge and a symbol of hope for children and families suffering from despair. In the beginning, the home relied upon the generosity of the community. Most monies today come via state contracts; your donations help purchase the "extras." St. Joseph's Carmelite Home is designated a 501(c)3 not-for-profit organization. All your contributions are tax deductible to the fullest extent of the law. 100% of the money goes towards the children. Caring for children requires much more than a roof over their heads. Needs include sheets & clothing; diapers & formula; books & field trips. Become part of our extended family. Donations in any amount are appreciated. Just $30 a month (one dollar a day) from 1,500 people will help our Home meet its needs for today and tomorrow. Activity Sponsor. Tickets and transportation to a special event. In Kind gifts of goods may be tax deductible. Please consult your tax advisor. Call to talk about Bequests, Planned Giving, and Endowments. All items dropped off at the Carmelite Home are best delivered to 4840 Grasselli in East Chicago at the front door between the hours of 10am and 2pm. Monday through Friday to be documented. Please Help the Children at St. Joseph's Carmelite Home. Your love, support and prayers make it happen. Your volunteerism is cherished. The most precious gift you give may be your time. Contact us to discuss how your talents may be best used. Offering Professional, Loving Care. Your love, support and prayers make it happen. The Carmelite Home will accept referrals from Indiana Department of Child Services case workers every day of the year and 24 hours a day. We open our Home whenever there is an emergency and a child needs a safe place to stay. 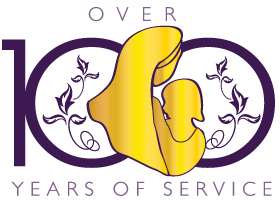 Catholic nonprofit 501(c)3 charity serving all of Lake and Porter Counties in Northwest Indiana.